U.S. Henry Hub Spot Price. USD/MMBTU. Average of Month. Henry Hub Spot Price. US Dollars per Million BTU. Average of Month. 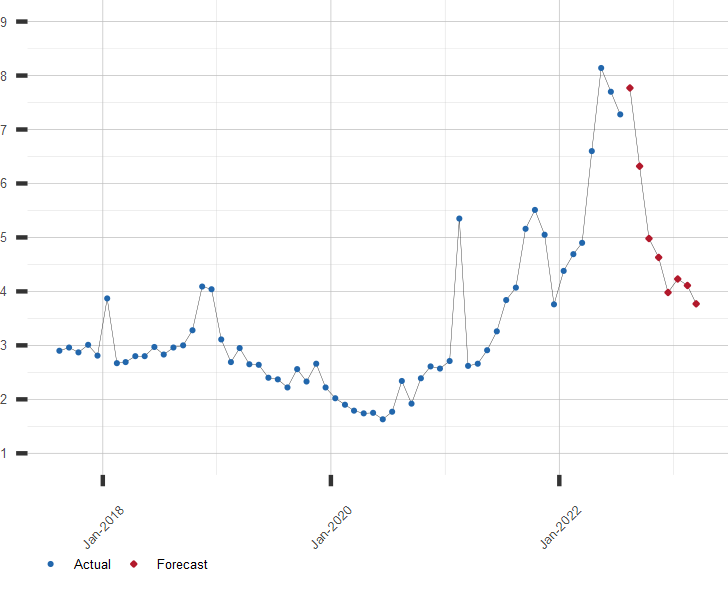 A long range forecast for Natural Gas Prices and similar economic series is available by subscription. Click here to subscribe now!